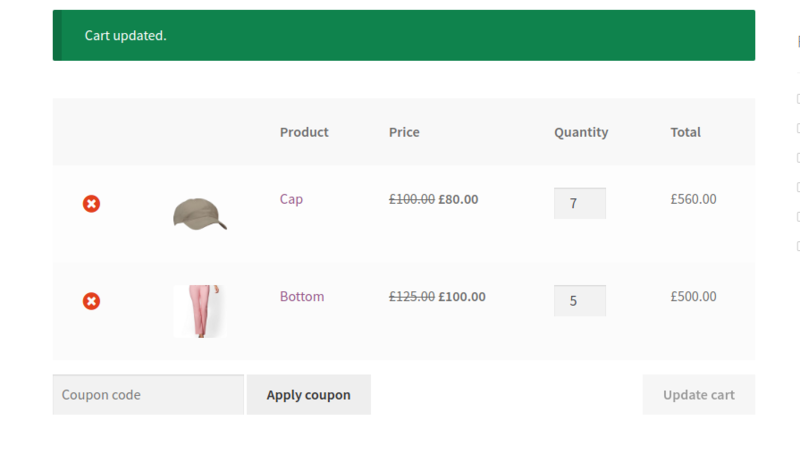 Apply to = Specific categories and choose the category to which you wants to apply the discount. For example, we choose "Apparels"
Check the box "Apply child categories", if you would like to include the sub-categories of Apparels. Define the quantity range and give the discount value 15. You can also increase the range, according to which you can provide different percentage discounts for example. For 10 quantities it is 15% discount, for 11 to 20 products it is 20% discount. You can add ranges as per your requirements. 15% discount when 1 quantity added to the cart. Gives 15% discount when 3 quantities of specific category is purchased. 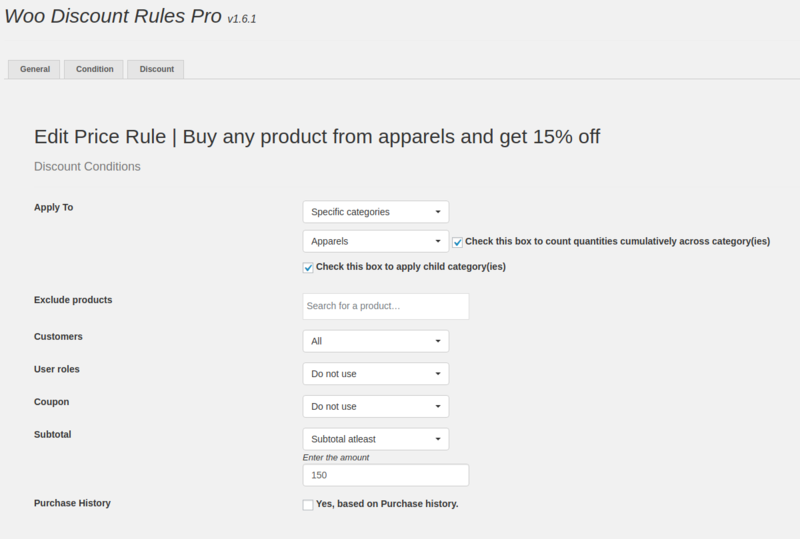 If you are trying to achieve a discount where, When products are purchased from a specific category, then give 10% in the products purchased from same category. In the Discount tab, you can limit the quantities of the products purchased in that category to provide a discount by adjusting the Min and Max quantity. Choose "Cheapest in cart - selected category" and select the category that gets the discount. You can also choose multiple categories if you want to give discount. 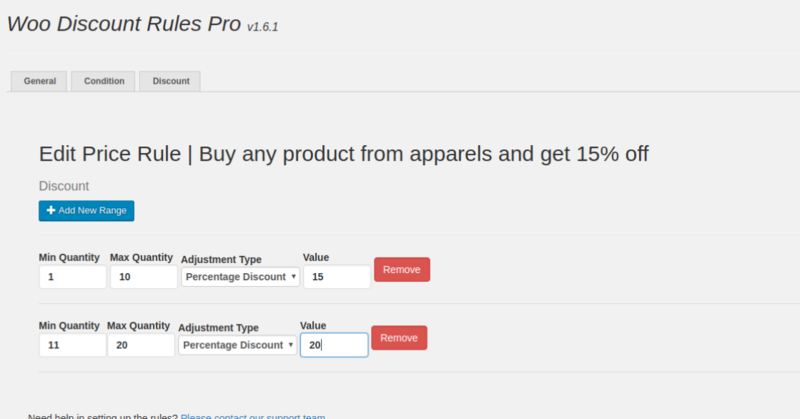 You can limit the discount applied for products , that is the number of cheapest products to avail a 10% discount by limiting the "Item quantity"
Limit the Percentage : here it is 10%. you must have to add more ranges and increase the Min-Max quantity and the Item quantity. 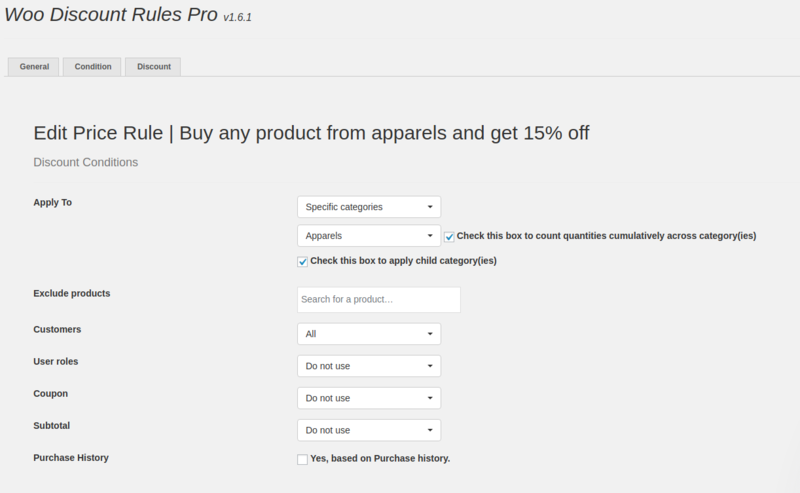 For example only apply this category specific discount when the cart has a subtotal of 150. If the cart has a subtotal of 150 then a cap can be given for free. So this discount will be applied only when the cart has a 150 subtotal. Purchase from a product from category A and get a Free product (Mug) or a percentage discount in Mug. 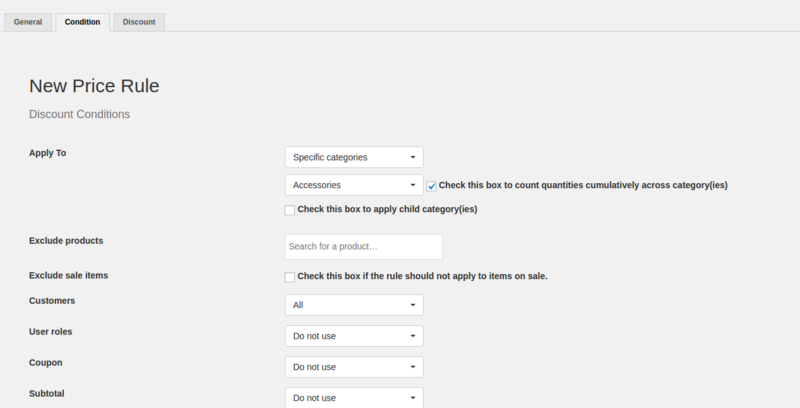 Add your desired category in the condition tab. In the discount tab, you can choose from multiple options like, either specify quantity or within the range. Here, I have given the following conditions. Buy 1-5 product quantities from Category A and get 20% discount on 1 Mug. Buy 6-10 product quantities from Category A and get 30% discount on 2 Mugs. Please submit a support request or leave your question and email by clicking the Live Chat button below.